Imagine . . . A Mountain Wedding! 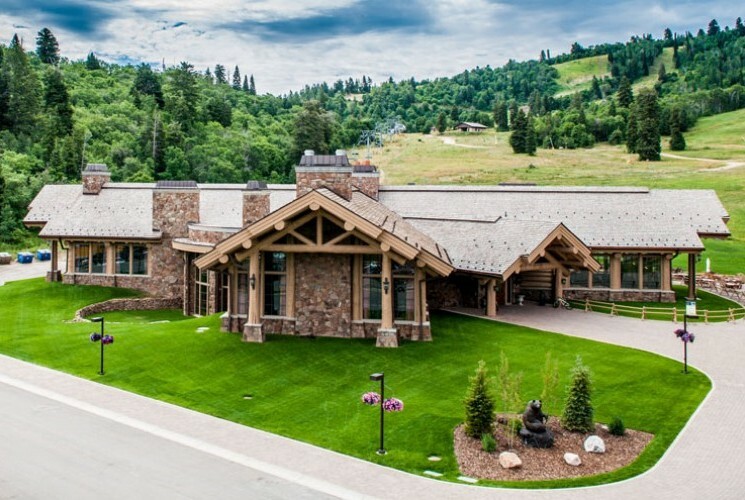 For a truly memorable occasion, Snowbasin Resort provides a picturesque setting with exquisite personal service. 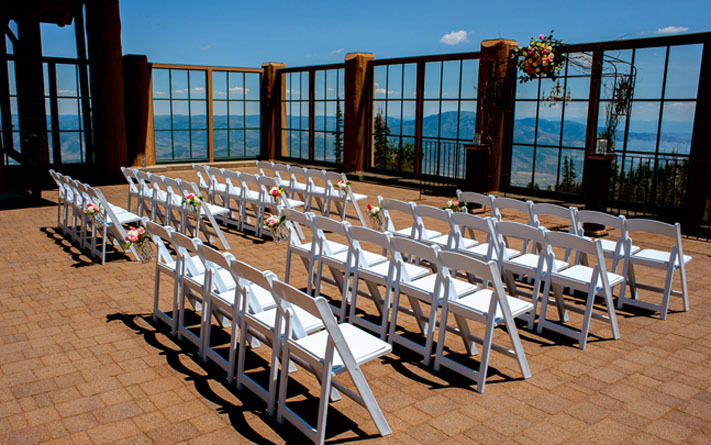 With outdoor locations and two magnificent lodges, the ambiance of Snowbasin is perfect for any wedding ceremony and/or reception. Our award-winning catering team will work with you to create your dream wedding from an elegant plated meal, to a simple dessert or appetizer reception. Your wedding will be one of the most memorable events of your life. 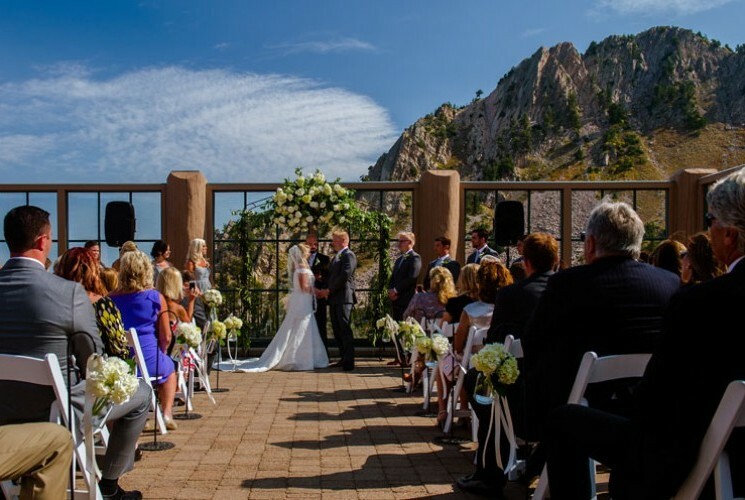 While planning such an event can be daunting, the staff at Snowbasin Resort will serve to make your wedding a uniquely personal event. Our wedding packages include options and catering selections tailored to your taste and budget. With attention to detail, our coordinators are dedicated to making your wedding perfect in every way. See our Pinterest for images of Snowbasin Resort weddings and inspiration! Stay at Lakeside Resort Properties, the closest lodging to Snowbasin Resort! The staff and venue at Snowbasin for our daughter's wedding was outstanding! Kristine Cline, our event coordinator, helped in every possible way to make her wedding spectacular. Every aspect from the ceremony at Needles Lodge to the reception in Earls Lodge was made perfect by their professional and helpful staff. 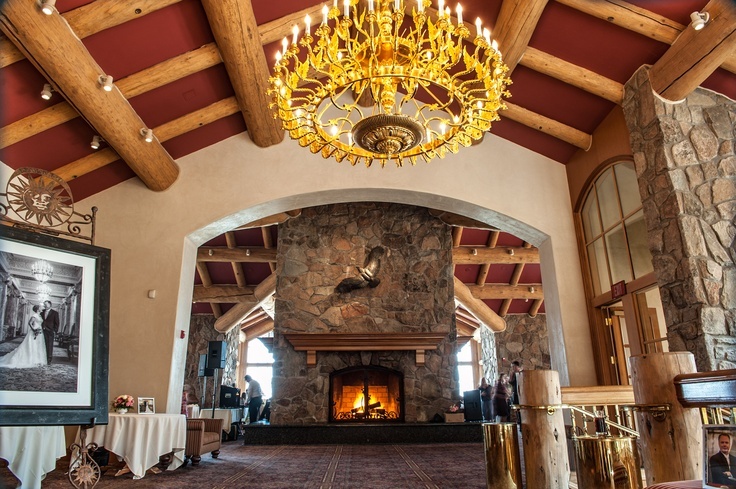 Because Snowbasin is such a beautiful location and each lodge has it's own gorgeous setting we only needed to have candles and flower centerpieces for the tables and a few flowers for the wedding ceremony. This takes away the stress of decorating. All of our guests loved the food and had a blast going up the gondola for the ceremony. 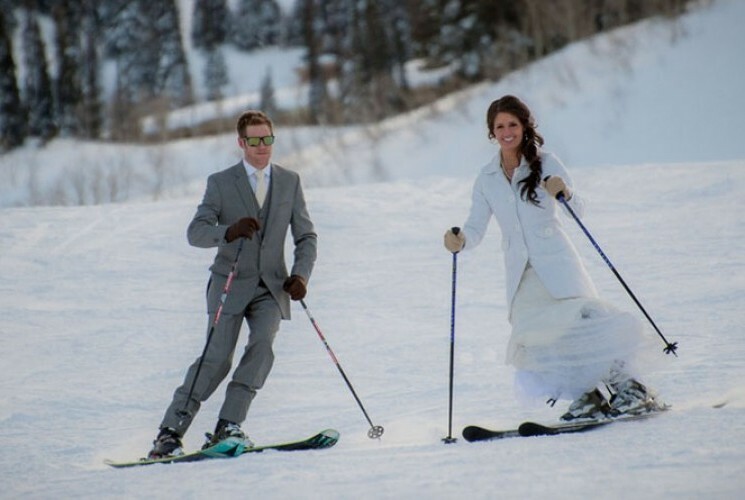 We highly recommend Snowbasin for your wedding. We couldn't have asked for anything more! Also, here is more than I can say that you can share with the staff. Everyone who was there the night of the wedding did a wonderful job! We appreciate the kindness of the guys who worked the gondola and helped the more elderly of our guests and family. The ladies at the ceremony were terrific at helping us know what to do and were so patient and kind. The chefs and kitchen cooked great food and the cake was beautiful and yummy too. The servers and bartender were professional and made sure everyone was taken care of. And it was fantastic at the end of the night how quickly the staff packed up everything and didn't miss a thing. And Kristine you did a wonderful job and I had a great time working with you. You made everything come out perfectly! 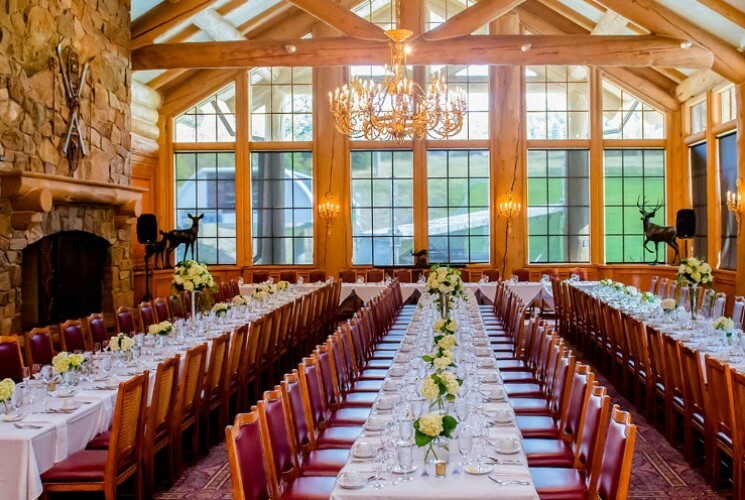 My husband and I had the best wedding luncheon/reception at Snowbasin’s Earl’s Lodge this past May. We would highly recommend. 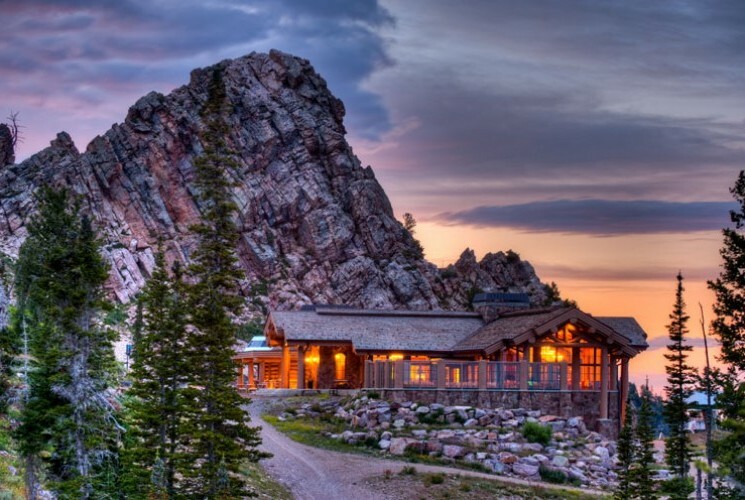 Everything from the setting in the mountains, to the lodge, to the food, to the experience was luxurious. Kristine and her staff were excellent and easy to work with. They paid attention to every detail and made wedding planning easy. For our luncheon, we choose a buffet with prime rib and turkey. The food was absolutely delicious and cooked perfectly. We still think about our wedding food and cake all the time. I would highly recommend the chocolate cake with white chocolate gauche and white buttercream. The cake tasted delicious and looked beautiful. Snowbasin created our vision perfectly and outdid themselves. Snowbasin’s Earl lodge is simply elegant. Because of the grandness of the interior, we did not need to add extra wedding decorations. This made the wedding day simple and smooth as the venue was already perfect. We also loved our tasting leading up to our wedding where we chose details such as tablecloths, napkin folds, and table layouts. We also got to taste all our food for our luncheon. Snowbasin made our experience special and perfect. 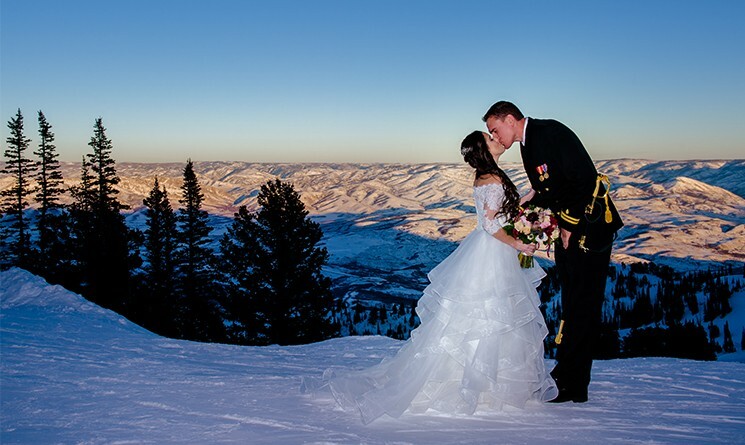 If you are looking for the perfect wedding experience, we would highly recommend Snowbasin. They will provide you with a specialized, elegant, and grand experience. My husband and I got married at Snowbasin in October and we truly couldn’t have had a more perfect or fairytale-like wedding!! It was truly a DREAM. Kimberly Miller helped is to plan out the perfect day including every detail. 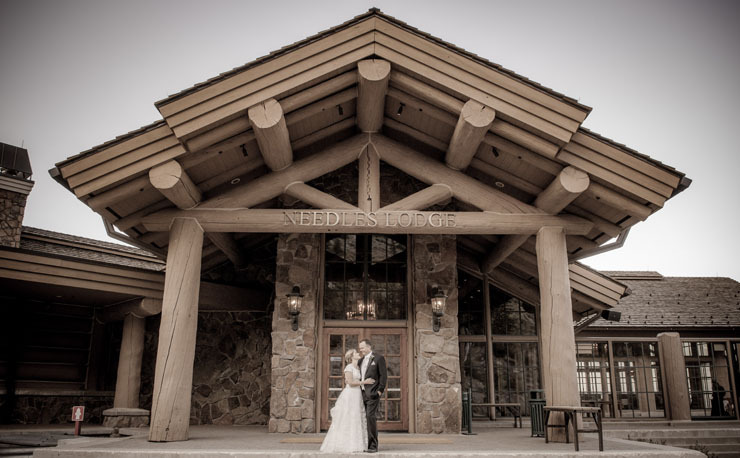 The day of the wedding felt so stress-free because of the staff at Snowbasin that took care of all that we had planned. I would totally get married here all over again because of how special they made us feel!! Thank you to Alex Musil as well, she did a wonderful job putting things together! The food was magnificent, the cake was Devine, and the environment was just filled with love and romance. It was truly a gorgeous day and I would recommend anyone getting married there that wants a stress free day! My husband and I (fiance at the time, obviously) wanted a wedding in the mountains and we couldn’t have asked for a more perfect location! We got married on top of the mountain at Snowbasin - Needles Lodge on 9/26/2018. -Our wedding coordinator was very diligent in helping us plan for the wedding. She saved us lots of stress and time. -Staff was very helpful – even brought us food to eat between photos. The referrals from Snowbasin were phenomenal. We selected the DJ and reverend from the list and this is what we thought. -The non-denomination reverend was hands down, the best! The ceremony was exactly what we asked for and even better than we expected. It was the perfect amount of loving, exciting, spiritual, and even humorous at times to keep it light hearted as we had requested! -The wedding DJ was great! He kept the guests engaged and even edited a song for the wedding ceremony that I specifically wanted from Lord of the Rings! Snowbasin was the most amazing venue ever and we would definitely recommend this location! Review from October 2017: I just wanted to tell you all how magnificent this event turned out to be! I want to thank you for all the hard work, patience, professionalism, creativity, and diplomacy you all exercised in planning and executing this gorgeous wedding and reception. Please extend our thanks to everyone else who was involved in making it happen! So many people told us they thought it was the most beautiful event they had ever been to. I couldn't think of how it could possibly have been better. Your staff was so gracious during the even and made it run so smoothly. It was also visually stunning and the food was delicious and beautifully presented...I'll never forget the perfect night of October 6th, 2017!! 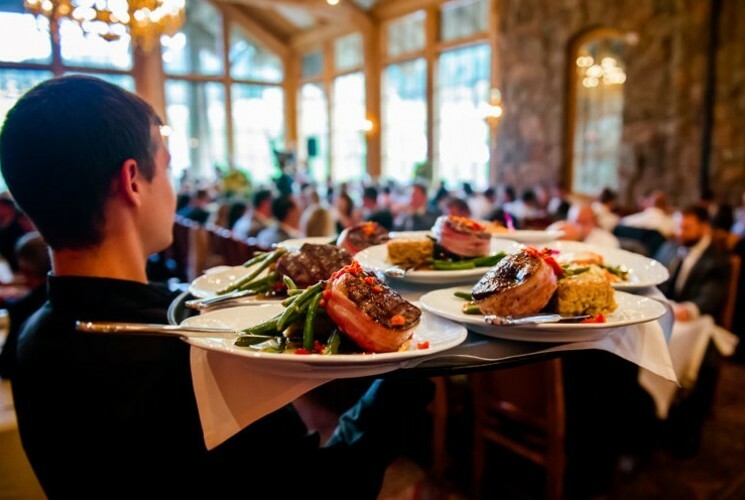 Does Snowbasin Resort allow outside catering? We require that all catering be in house but can assure you that you will love our food. Our chefs are highly trained, choose only the best ingredients and are flexible with menus should you have special dietary needs. How much does a wedding at Snowbasin Resort cost? Our room rental prices vary by time of year, day of week and by the space itself. We have two patios and 5 different dining rooms within 2 lodges that are available for private events. Depending on your group size, what you are looking for and your date, you may have a few options to choose from. Our Event Sales Manager would be happy to discuss your options and prices with you. 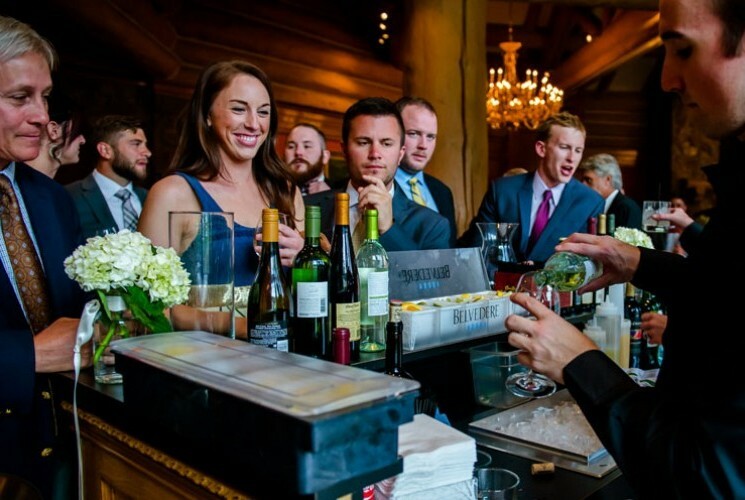 All bar service needs to be provided by Snowbasin Resort, in accordance with DABC laws. Can we bring a band or DJ? Yes, you can bring any band or DJ you would like. We have a preferred vendor list that we can provide you if you would like recommendations. What does Snowbasin Resort include in their packages? We provide all food, beverage, serving staff, bar tenders, furniture, linen and the space. We will do all of the set up, besides decorating, and all clean up at the end of the event. All you would need to do is decorate if you wish. What kind of vendors should I be considering? 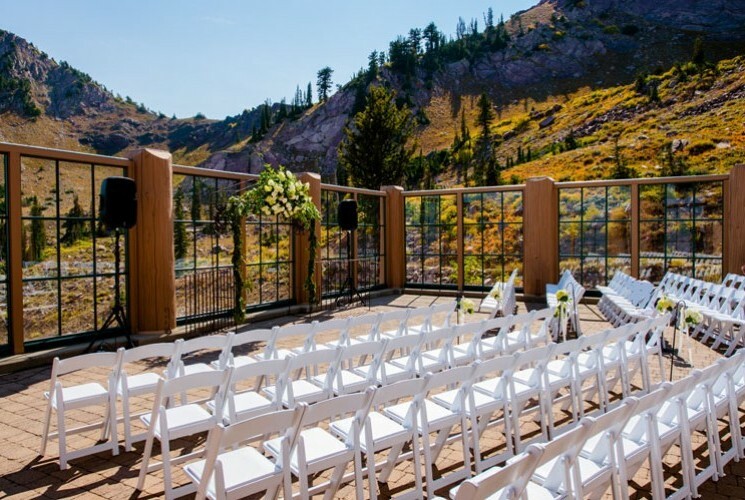 Can we have just our ceremony at Snowbasin Resort? We don’t want a sit down dinner but more of a social event with finger foods and guests coming and going. Is this an option? Yes. We host all kinds of events and styles and have a full hors d’oeuvre and dessert menu just for this kind of occasion. How many hours do we have the space? We allow a total timeline of 6 hours, plus two hours early arrival for set up. Extra time can be added for an added fee. Do you offer lower rates on weekdays? Yes, we offer reduced room rental rates on Sunday - Thursday dates.